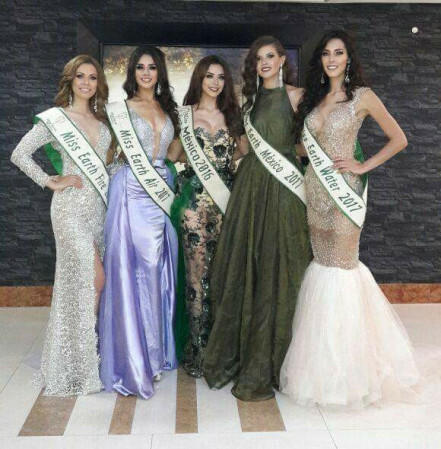 19-year-old beauty from San Luis Potosi Ana Karen Bustos González was crowned Miss Earth Mexico 2017 in a simple coronation ceremony in Tuxtla Gutierrez, Chiapas, Mexico. It was supposed to be held on September 10, in Tuxtla Gutierrez, Chiapas. But the organization decided to cancel the pageant due to magnitude 8.2 earthquake that struck off Mexico just before midnight of Thursday. Diana García González of Baja California – Miss Earth Mexico Fire.